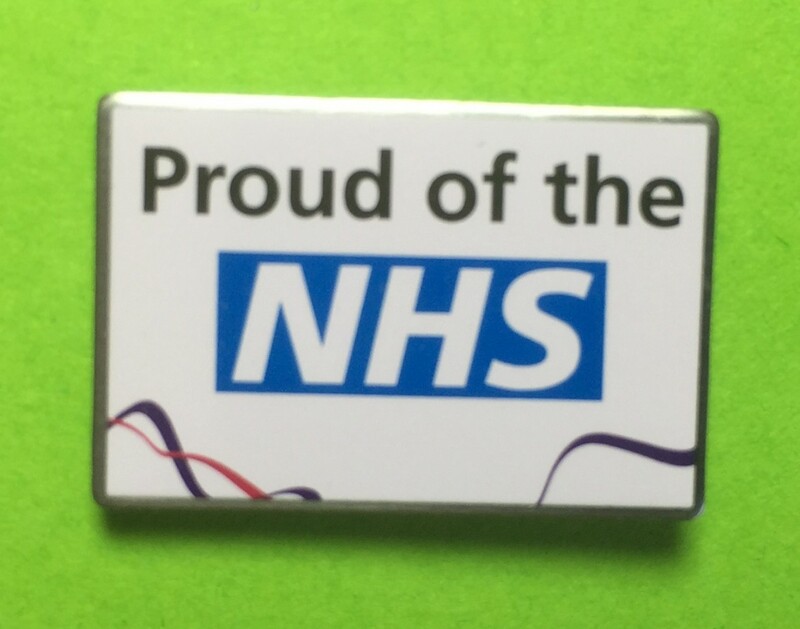 Proud of the NHS lapel pin: to wear with pride whether you work for or use our NHS. 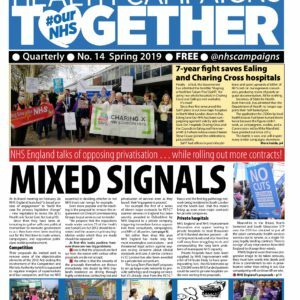 Brilliant for wearing on a picket-line! Special Offer so you can! 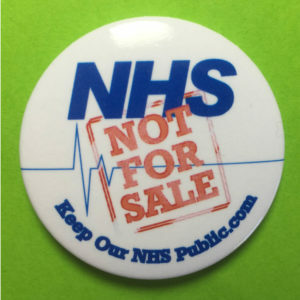 A small pin to wear with pride whether you work for or use our NHS. Our most popular item. 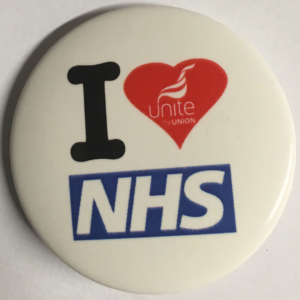 100 pins for £105 (inc p&p). Ideal for stall sales, conferences.